Six of these postcards have either been uploaded to the website or will be soon. The one of the interior of the church is not in the collection. It shows the font with the suspended and decorative cover that is raised when a christening takes place. 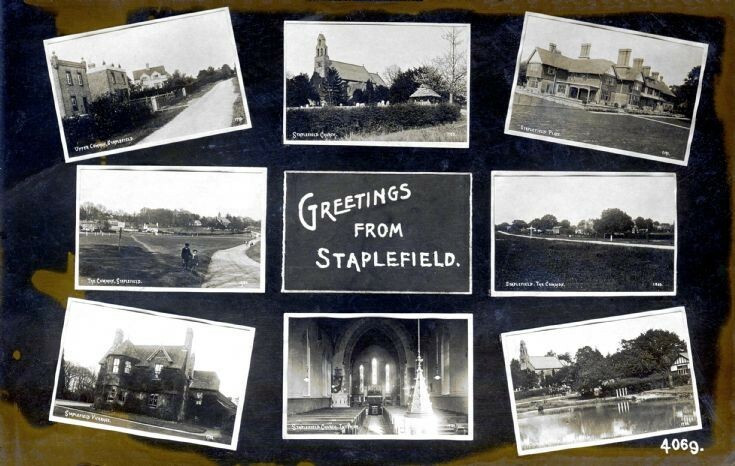 The postcard in the top left shows Warwick Cottage in Rose Cottage Lane in the foreground. All three houses in the picture seem to have been greatly extended and improved over the years. I wonder what happened to the globe-shaped finials which are no longer on top of the decorative pillars. Please can anyone supply either of the two missing postcards for the website?